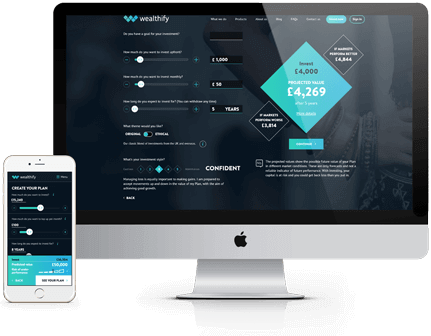 Wealthify uses low-cost passive investment funds like ETFs and mutual funds. These mimic the returns of a stock market like the FTSE 100, rather than you trying to pick the stocks you think will do well. We use passive funds from leading providers, like Vanguard and Blackrock which contain lots of investment types, such as shares, bonds, property and others, so your money is appropriately spread out.